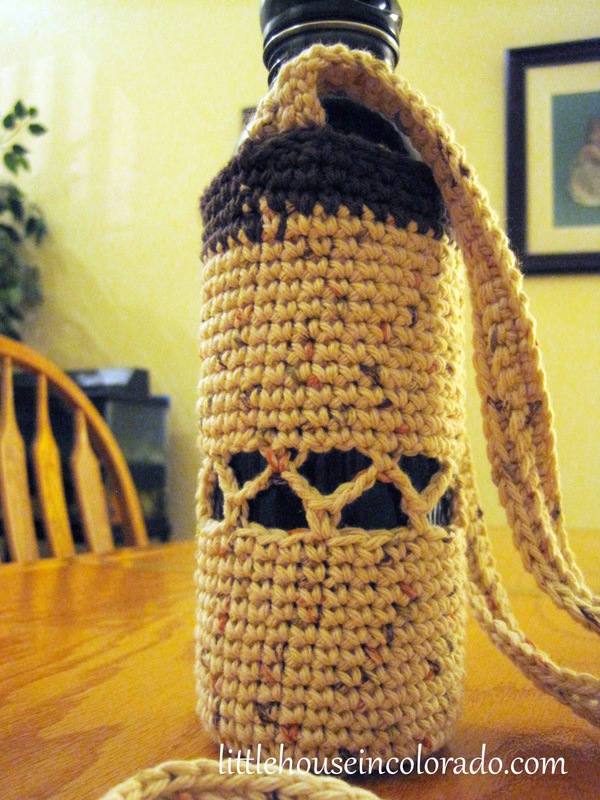 I was looking for something to make for my mom for Christmas and decided on a water bottle holder with a shoulder strap. She carries water with her everywhere in a reusable bottle and a holder would free up her (already full) hands. 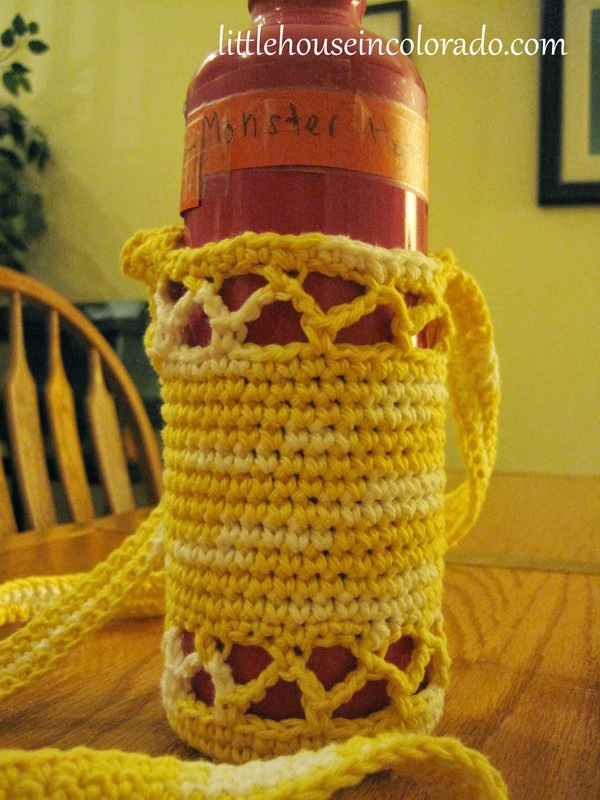 I found several patterns that were okay, but nothing that I really liked, so I started experimenting. 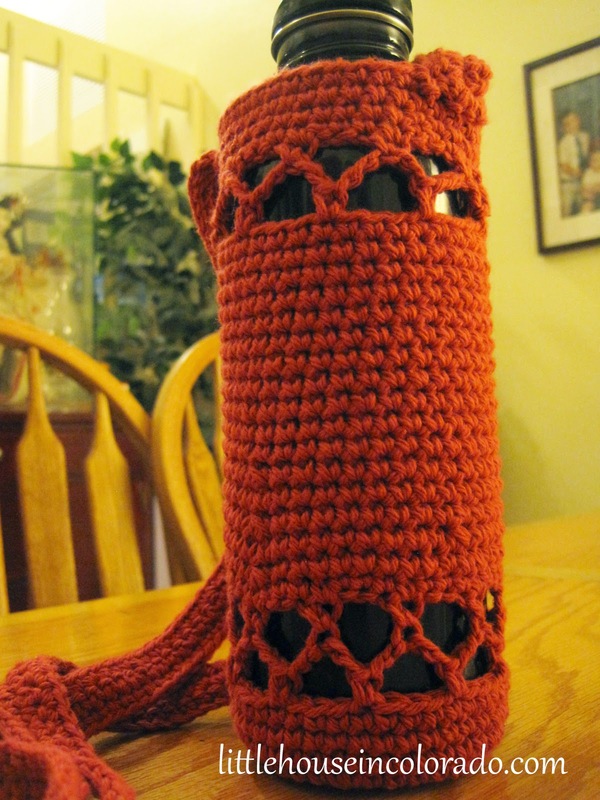 First by making one for myself (in brown, of course) and then by making one for someone else. I finally got the technique down when I realized I would have to wait until Mom actually arrived so I could size the holder to her water bottle (as you can see in the pictures, not all water bottles are created equal). Mom decided to make one, too! 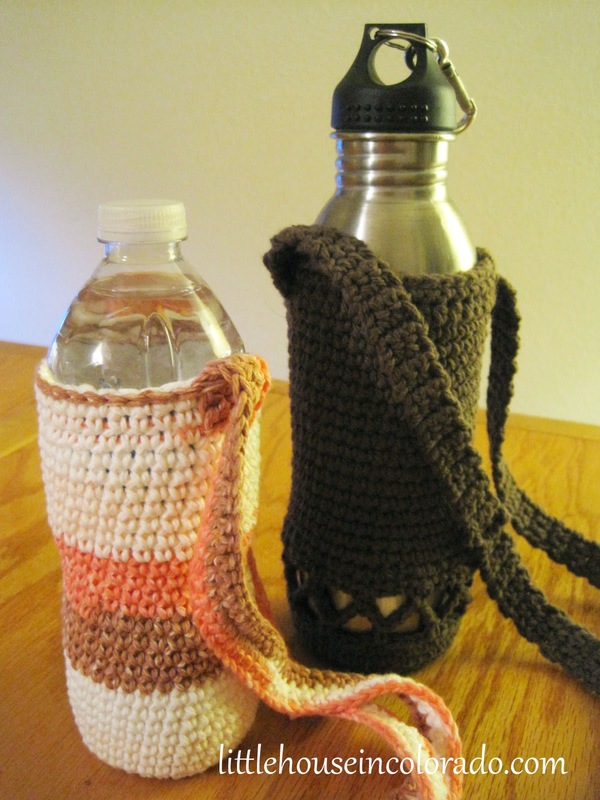 Update: I've written out a pattern for making these crocheted water bottle holders. You can find it here. Those are so cute! Please say hello to your mom for me!